But when combined with hours estimates, how does this data make sense? That's where this feature comes in! 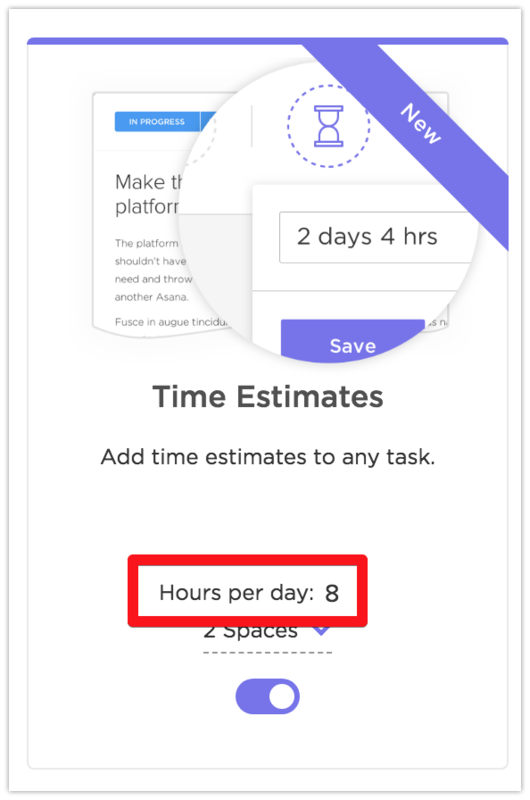 By default, we'll automatically count 8 hours in a day. But! You can customize how many hours count as a day for your team. Note that changing this setting requires admin privileges. Want to see what other cool features are being added to ClickUp? Take a gander here!